What does it take to watch a movie? A little cash, a lot of popcorn (obligatory), a good attention span (hopefully) and maybe a friend. Correct. But we rarely stop to consider the behind-the-scenes teams that make films available to us in the first place. 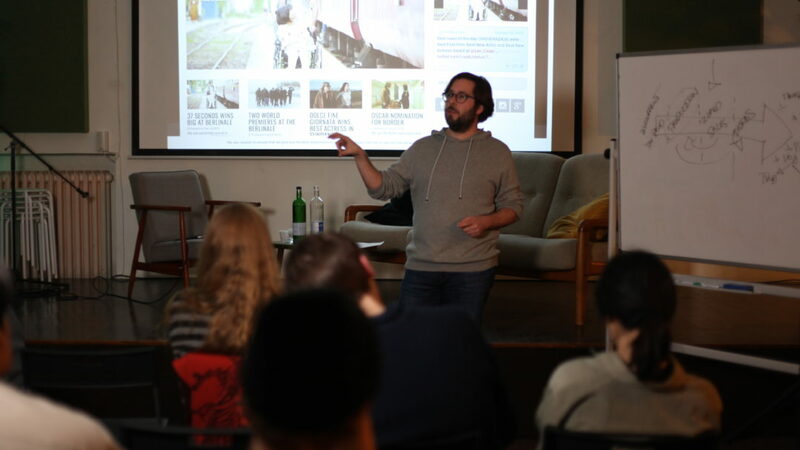 Our recent Guest Session with Films Boutique‘s head of sales and marketing Louis Balsan provided a fascinating insight into the enigmatic business of film. 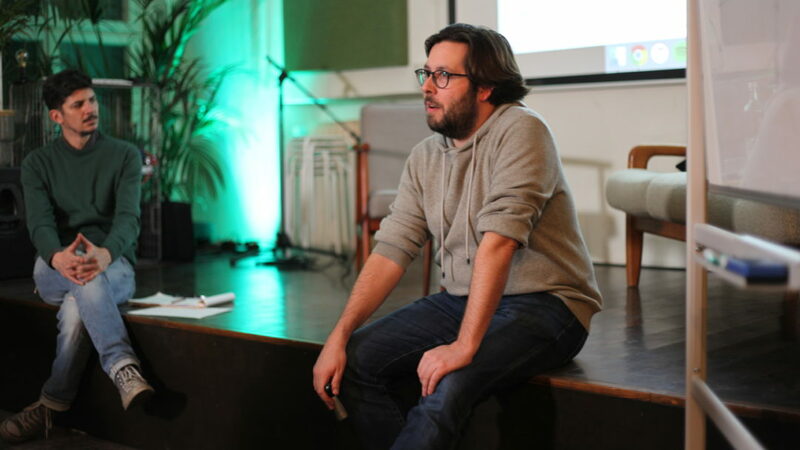 From marketing to sales and distribution, Louis’ conversation with Film Programme Lead Matthieu Schmit revealed how to take a film from script to screen. Louis Balsan started his career as an investment banker, but a serendipitous professional encounter with cinema company EuropaCorp piqued his interest in film. It wasn’t long until he was working there, coordinating the marketing of commercial films such as Transporter 3 and Arthur & the Invisibles. A passion for art house cinema saw Louis move on to the company Funny Balloons. There he oversaw the launch and international career of acclaimed films like No (Pablo Larrain), Gloria (Sebastian Lelio) and Pasolini (Abel Ferrara), among others. Finally, after moving to Berlin a few years ago, Louis joined independent international sales company Films Boutique as head of sales. Under his belt are the Oscar-nominated Embrace of the Serpent (Ciro Guerra), Divines (Houda Benyamina), On Body & Soul (Ildiko Enyedi), and more recently Border (Ali Abbasi) and Birds of Passage (Cristina Gallego & Ciro Guerra). What’s so great about Films Boutique is that only 10 to 15 new titles are added to the line-up per year, in a bid to return to treating films as works of art. Check out the stunning Birds of Passage trailer below. 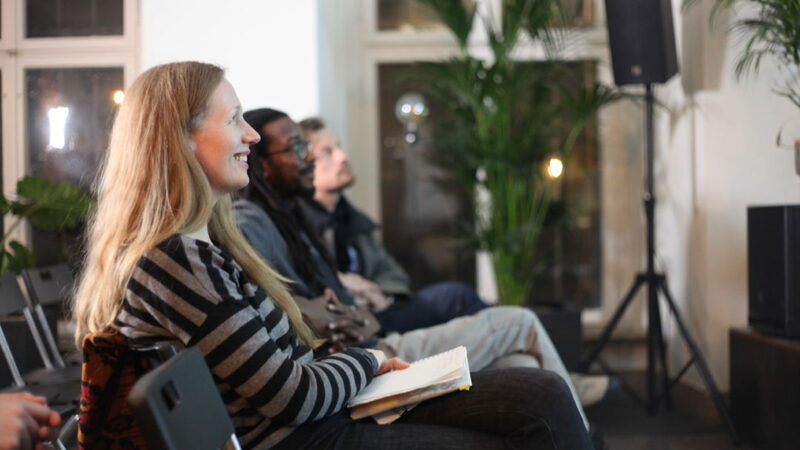 More from Guest Sessions: Club Europa director and DoP share the things that fuel their creativity.